A simple handmade sight which uses a thin black cross to sight targets. A cheaper alternative to the holosight, although it doesn't work well at night due to the crosshairs blending into the darkness. Slight reduction in magnification. A decently cheap sight. 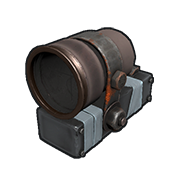 It reduces your FOV by 50%, so you will have a harder time shooting targets at longer ranges because of the targets being visually smaller and the higher sensitivity when aiming down. With pattern weapons this is not beneficial as the recoil is decently small, however with weapons like the M249 and semi-rifle which have more recoil compared to most pattern weapons. The reduced FOV makes it more practical for close-ranged weapons like the shotgun or smg, but if you're not a fan of your weapon's iron-sights it might be worth the investment. 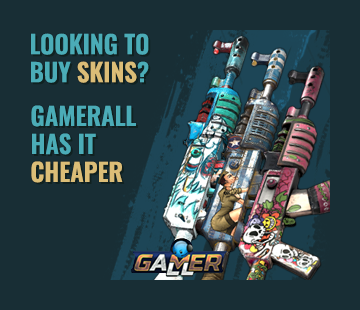 Good for Semi-Automatic Rifle , Python Revolver , M249 , and Custom SMG . Overall a cheap but good sight that is better than iron sights.